Body Retexturing Treatment was specifically formulated for dull, rough body skin, especially arms, legs, knees, and elbows. This body treatment harnesses two polar mechanisms – exfoliation and hydration – to transform skin into a smoother, softer texture. Hydroxyethyl Urea and Aminosulfonic Acid compound work simultaneously to normalize cell turnover and restore skin's barrier, resulting in the most efficient epidermal renewal. 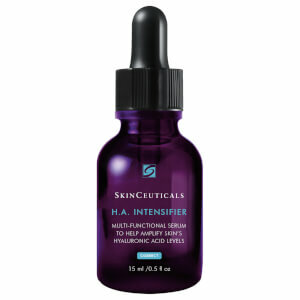 Hyaluronic Acid increases skin hydration. Niacinamide helps to build up the skin barrier. Can be used by all skin types including extremely dry skin. Once daily, apply a thin layer to affected skin areas, or as directed by a skincare professional. Aqua, Water, Eau, Hydroxyethyl Urea, Hydroxyethylpiperazine Ethane Sulfonic Acid, Niacinamide, Butylene Glycol, Glycerin, Alcohol Denat., Caprylic/Capric Triglyceride, Undecane, Dimethicone, Sorbitan Palmitate, Tridecane, Glycine, Polymethylsilsesquioxane, Phenoxyethanol, Sodium Lactate, Carbomer, Cetyl Alcohol, Hydroxyethyl Acrylate/Sodium Acryloyldimethyl Taurate Copolymer, Sodium Stearoyl Glutamate, Stearic Acid, Triethanolamine, Palmitic Acid, Dimethiconol, Chlorphenesin, Peg-100 Stearate, Glyceryl Stearate, Disodium Edta, Sodium Hyaluronate, Citrus Aurantium Dulcis Oil, Orange Peel Oil, Limonene, Prunus Amygdalus Dulcis Oil, Sweet Almond Oil, Eucalyptus Globulus Oil, Eucalyptus Globulus Leaf Oil, Pelargonium Graveolens Oil, Pelargonium Graveolens Flower Oil, Citrus Nobilis Peel Oil, Mandarin Orange Peel Oil, Mentha Piperita Oil, Peppermint Oil, Citrus Grandis Oil, Grapefruit Peel Oil.